Now, it is time for Alice to do her special task which involves Laylee a mordeshoor. After everything that happened in furthermore, Alice is tasked to help Laylee. She has obtained the highest score among her peers, even if she took the exam twice. Oliver secretly helped Alice with her task. However, Laylee the mordeshoor does not easily trust and open up her door to strangers. A mordershoor is someone who fixes the dead. She is dearly needed by the community because the souls of the dead would stay and haunt the living if they are not fixed by a mordeshoor. Laylee is the only living mordeshoor because of circumstances. Even if her parents are not available, she takes care of the dead bodies. But the community does not even help her by donating cash or in kind. Little by little her body is dying and if she dies every soul would cause havoc. This is where Alice comes in, she is able to heal Laylee but was oblivious to the fact that Laylee needed a friend. In the end, the dead took the matters into their hands and saved Laylee from persecution. Also, Alice was able to soften Laylee’s heart which blossomed into friendship. While everything was happening Oliver fell in love with Laylee but the girl was not aware of it. Laylee is a girl who had parents who seemed to love each other more than their daughter. But in the end, they were able to show that they truly love her. She is a mordeshoor with powers to see and help the dead. She lives in Whichwood with her neighbour Ben who has a lot of insects in his body. I like Laylee because she works hard but is not compensated well by the community. Whichwood is a place full of ice and snow. Also, they are very wary of magic and are very superstitious. Another, interesting character is Ben and his mother. They have their own magic powers. One can find help with insects and the other a whale. The new characters are interesting and very unique. Also, Oliver and Alice are still in this story and their circle of friends grew bigger because Laylee and Ben were added. The story was given a 4.5 hearts rating because I enjoyed it very much. It had a darker theme than Furthermore. Also, the world building of this series is getting more interesting. It is nice that a new place is being introduced. I hope that the next books would be a unique world again. Also, the characters were unexpected and very mature with their thinking. I was not expecting this. I think it is more YA than a middle grade book. Never the less, it was very interesting and unique. It had a darker tone which was very intensified by a lot of dead walking bodies. But the cover is just so BEAUTIFUL. I would not think the story was connected to the dead or death based on the cover. Laylee really is a beauty despite her failing health. 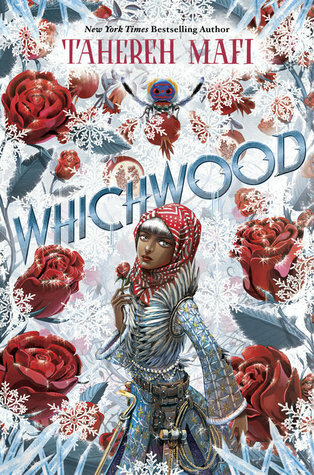 Other than the story being unique and interesting, the writing style of Tahereh Mafi is so good that it was such a treat to read. BUY, BORROW, NEVER MIND: Buy, because it is a different read from Furthermore but equally unique and interesting. Previous postWeekly update (April week #2)- still reading..